It took place from June 22-24 at the H10 Andalusia Plaza Hotel, with live surgeries broadcasted into the auditorium from Ocean Clinic’s in-house operating theatre, located on Av Ramon y Cajal. Marbella’s assets proved a big draw for plastic and aesthetic surgeons, attracting 110 specialists from around the world to attend the second edition of the Marbella International Plastic Surgery Summer School (MIPSS). The Marbella International Plastic Surgery Summer School took place from June 22-24 of 2017 at the H10 Andalusia Plaza Hotel. The number is more than double the amount of delegates that attended last year. The medical meeting, organised by Ocean Clinic Marbella, mixes high-level knowledge sharing with a vibrant social programme. Ocean Clinic Medical Director, Dr. Kai Kaye says: “We have been blown away by the success of the summer school, which, after one year, has doubled in size and attracted participants from over 20 countries. Some travelled from as far away as America. 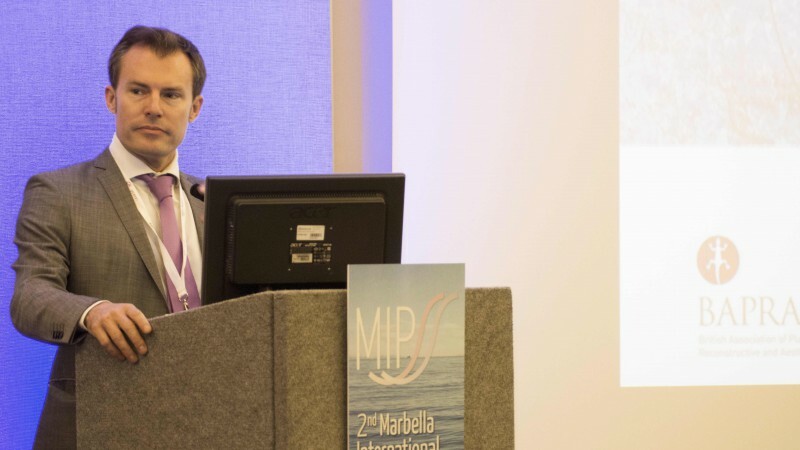 MIPSS’ education track included 35 lectures and three live surgeries from an international panel of speakers representing more than 10 countries. Topics included new concepts in facial rejuvenation, body contouring, breast augmentation, reconstructive and transgender surgery. Because the meeting was sold out, it was necessary to move from previous venue Hotel Fuerte to a new larger venue. H10 Andalucia Plaza Hotel played host to the conference sessions as well as a poolside drinks reception and gala dinner. Other social activities included partying at Pangea Club in Puerto Banus to celebrate San Juan. MIPSS 2018 will take place from June 21 to 23 of 2018. For further information about next year’s programme and to register visit www.mipss.eu.